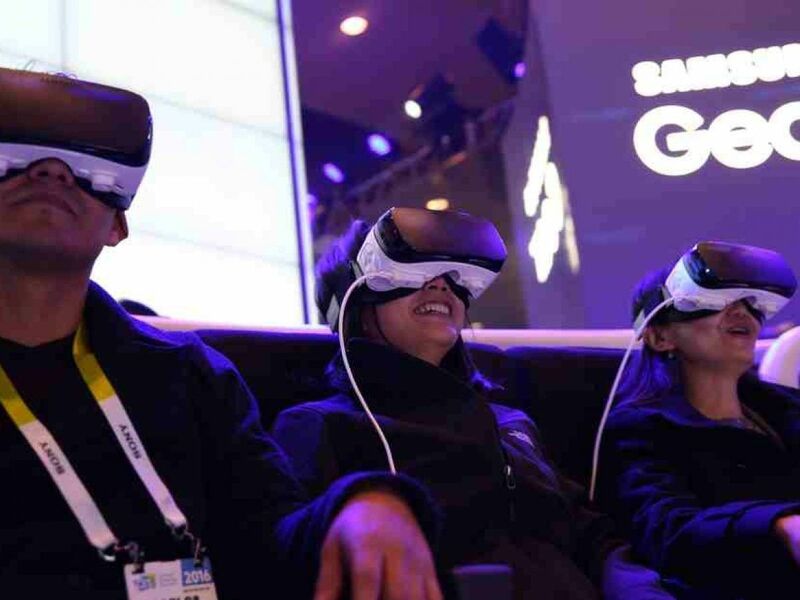 A newly published patent application from Samsung reveals that the company has invented sensors which will be fixed to the side of the Gear VR headset and will be able to detect in-air gestures to trigger clicks. This will enable users to move and click using a cursor without requiring any physical buttons on the headset, they will easily be able to click on an item, photo or movie to open it using just in-air gestures. The patent details that when presented with an app users can move their head left, right, up and down to control the cursor. When they have to click on an image to focus on or an icon to activate they just have to move their hand across the side of the Gear VR where the new sensors are located and they will automatically pick up the signal to trigger a click. Samsung doesn’t describe if different in-air gestures can be used to control the Gear VR in ways other than the one detailed in the patent but it wouldn’t be surprising if that becomes possible over time. Samsung filed for this patent back in August 2014 and it was published by the US Patent & Trademark Office late last month.